FC Dallas fans might be in for more than a few more matches like this one. 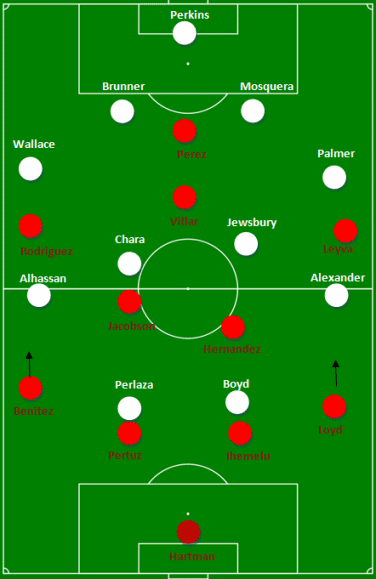 Manager Schellas Hyndman installed an excellent strategy, but a lack of depth, and two back-to-back errors, prevented Dallas from bagging three points. In FC Dallas’ opener, they rode striker Blas Perez’s two assists and a counter-attacking strategy to overcome New York 2-1. Hyndman, demonstrating his flexible tactical acumen, replaced two starters from that match (wingers Brek Shea and Fabian Castillo) and switched to a possession-based attack. 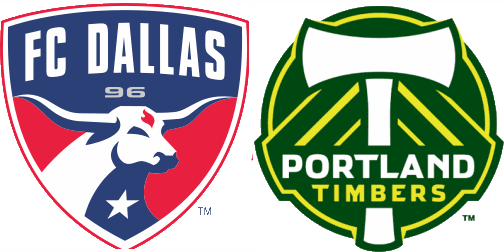 Dallas went from holding just 35% of possession against New York to 56% against Portland. Dallas used the man advantage in the middle to control the majority of possession. With Portland in a very traditional 4-4-2, Hyndman’s strategy worked wonders in the first half. Dallas used the man advantage in the middle granted by their 4-2-3-1 to drag defenders out of position to create space. That’s not to stay Dallas didn’t make use of wide players. Some of their most intricate attacking sequences occurred when attacking midfielder Ricardo Villar ventured out to the flanks to join the wingers and fullbacks. 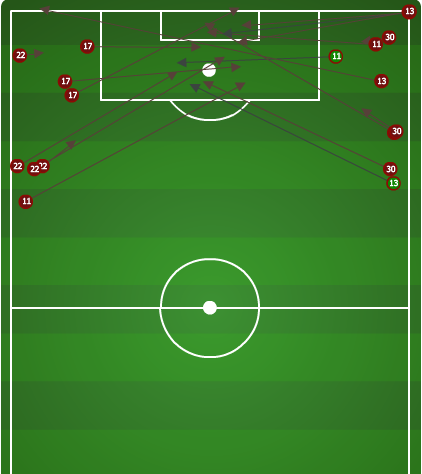 Villar’s movement away from the middle flummoxed Portland and led to the Dallas goal. In the 22nd, Villar cheated to the left and drew out a pair of markers. Shea replacement Carlos Rodriguez sprinted past right back Lovel Palmer into the vacant space and whipped in a cross. The service pinged through the box and Rodriguez’s counterpart Bryan Leyva hammered a shot at keeper Troy Perkins, who failed to corral the effort. Striker Blas Perez swooped onto the ricochet to put Dallas on top. Neither of Portland's starting strikers completed a single pass in their own half. Portland was thus forced to the wings for build-up play. Portland responded with more of the same tactic: get the ball to wide areas and swing it in. Given the often vast distance between the strikers and the midfielders, it was a reasonable tactic to pursue. The strategy certainly wasn’t for naught. While wingers Rodriguez and Leyva both contributed to the goal, Hyndman apparently felt that the presence of both youngsters was a defensive liability. The gaffer was so distraught by the number of balls being played into the box that he brought on center back George John for Leyva right before the break. The switch calmed down the Dallas defense but had repercussions in the second half. If the insertion of John right before half gave some peace of mind to Hyndman and the Dallas back line, it also had some ironic counter-effects in the 2nd half. First, it was some shoddy defensive play (though John wasn’t involved) that allowed Portland to capitalize and poke in the tying goal. Second, it put Dallas’ first half creative play completely on ice. Rather than trade like-for-like, Hyndman made room for John by shifting Pertuz to left back and throwing Benitez up into unknown territory as an inverted right winger. Although we’ve been very impressed with Pertuz as a center back, his conservative mentality as a fullback (per Hyndman?) completely shut down Dallas’ left side attack and left Rodriguez isolated as a bystander. The few times late in the game when Pertuz did venture up, it immediately freed Rodriguez to roam toward the top of the 18 and create scoring opportunities. Three centerbacks did calm down Portland’s aerial threat, but that didn’t prevent a mental lapse from spoiling 2 points for Dallas. A 51st minute back pass from Ihemelu was flubbed by Hartman and floated just outside the 18. An awkward touch/take by Daniel Hernandez ended up inadvertently playing Portland’s Nagbe into the box, who was more than happy to cap off the minor comedy of errors with a clean finish past Hartman. Just as disturbing as this defensive hiccup was Dallas’ loss of midfield fluidity in the second half. This appears to be due to a confusion of roles between Villar and Jacobson. 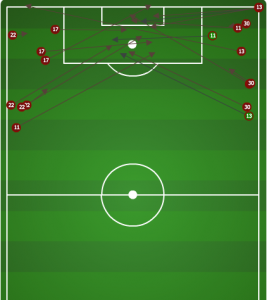 Villar, who last week vs. New York brilliantly served as the creative link up between the Dallas midfield and striker Perez, rarely roamed back as a trequartista last night and instead played as a slightly withdrawn striker behind Perez. It’s hard to say whether he could have dropped if he wanted to, however, because Jacobson, who normally plays as a very effective holder/destroyer alongside Hernandez, seemed to have free reign to push forward and seemed to want to play the playmaker role for Dallas. The result was excessive turnovers and a poor 57% passing percentage for Villar and Jacobson combined (Villar 25/45, Jacobson 27/45). Jacobson’s more aggressive, roaming play also caused him to concede 4 fouls, a dangerous proposition against a team like Portland. Portland plays a game of direct, dangerous balls from set pieces as well as live crosses. Portland will be content to have earned a point on the road. No longer the league’s newbies, they’ll need to adapt as teams get to know them better. Their direct style of play and no nonsense 4-4-2 have a history of success in MLS–think Colorado Rapids of the Gary Smith era. They even have a bullyish poaching striker a la Connor Casey in off-season acquisition Kris Boyd. Teams will need to protect their flanks from aerial crosses and avoid conceding dangerous free kicks. Hyndman’s wise mid-game adjustment did neutralize this aspect of Portland’s play, but Dallas’ lack of depth hurt their chances for a second goal. With rising phenom Brek Shea out for a large portion of the season on u23 duty, it could be an issue that rears its ugly head often for Dallas fans. Yikes that goal was ugly. 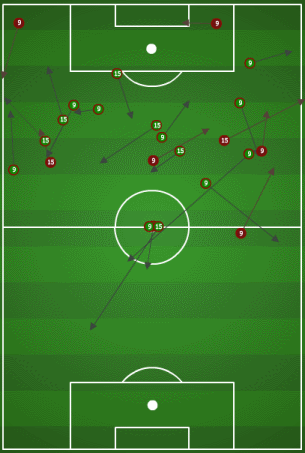 But Leyva and Rodriguez both looked promising going forward. If they develop, Dallas could potentially have startling depth on the outside, but only if Shea/Castillo aren’t gone for abnormally long Olympic stints. Yeah, I was really disappointed when Leyva came off. He and Villar had some nice moments of chemistry.